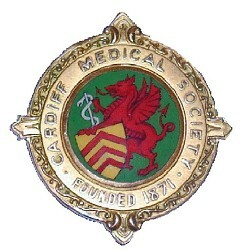 The Cardiff Medical Society was established in 1870 to encourage the advancement of medical knowledge and to promote the welfare of the medical profession. The membership consists of more than 300 medical practitioners in Cardiff and surrounding district. The president of the Society for 2017-2018 is Dr Jo Mower.